The California ProKart Challenge returns to action for the first time since the beginning of July, gearing up to host Round Five of the championship chase. The Monterey Bay Karters facility in Marina, California on Labor Day weekend will welcome some of the best racers in Superkarts! USA regional racing. The unique course will see racers hitting the track on September 1-2 in the five IAME and six Stock Honda categories, all with championship chases to be defined even further prior to the series finale at the end of September at the Streets of Lancaster Grand Prix. The championship still remains up for grabs in the Vemme Kart S1 Pro Stock Honda standings. Three-time champion Billy Musgrave has secured three victories and a runner-up finish over the first four rounds; however, SKUSA Pro Tour winner Hunter Pickett has kept it close. The two are only separated by 115 points heading into Round Five, with Round Four winner Matias Podboj needing another victory to put himself back in contention. Formula Works/CompKart X30 Senior championship chase is still in the hands of defending title winner Nicky Hays. The gap is only 108 points in that fight with Round Three victor Michael Avansino as the lead challenger. Andrick Zeen still has an outside shot, needing more podium success with a little help. Jason Pettit gained points in his lead for the Mad Old Nut/Mad Croc USA S2 Semi-Pro Stock Honda division after Santa Maria. Two-time race winner Aaron Aguirre trails Pettit by 86 points with two rounds remaining. Round One winner Kyle Wick and Kol Bailey remain in the hunt. Keawn Tandon and Zach Pettinicchi jumped over Anthony Fontana in the Nash Motorsportz S3 Novice Stock Honda championship chase. Tandon holds an 80-point advantage with Fontana now 12 points back of Pettinicchi. Two wins and four straight podium finishes has Jess Peterson in the driver’s seat of the Phil Giebler Racing X30 Master standings. The class ‘rookie’ now holds a 113-point lead over Travis Irving. Nick de Graaf and Luke Vasquez remain in the chase. The hunt is basically now for second in the Mike Manning Karting S4 Master Stock Honda division with Rob Logan holding a 148-point advantage over his competitors. Three drivers sit within 22 points for second – Nick George, Vivek Tandon and Robert Marks. The same goes for John Crow in the Musgrave Racing Company S4 Super Master Stock Honda category. Four straight wins has nearly wrapped up the title, with Jonathon Allen and Darrell Tunnell fighting for the second spot. Trey Brown has put himself in the position as one of the top Junior drivers in the country. 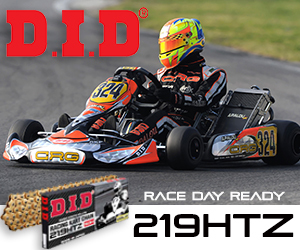 Brown has two SKUSA Pro Tour wins this season now, and holds a solid lead in the Ryan Perry Motorsport X30 Junior championship thanks to three wins in the series. The fight for the remaining two events will be for second with Zoey Edenholm leading Joseph Daniele and Jace Denmark-Gessel. The chase in the Outsource Utility Contractor Corporation Mini Swift division remains up for grabs. Jonathon Portz remains the point leader, holding now a 114-point advantage ahead of Daniel Inzunza. Four drivers sit within 77 points fighting for third – newly-crowned SKUSA Pro Tour champion Carson Morgan, Kai Sorensen, Cole Morgan and Kasey Gillis. Logan Toke has established a 99-point advantage in the PKS Kart Supplies Micro Swift title chase, thanks to his perfect score in Santa Maria. Enzo Deligny will need one of his own in Monterey to close the gap before the series finale. The deadline for race entry to the fifth round of the California ProKart Challenge is set for Midnight (PDT) on Monday, August 28 at the online registration page. The discounted price is just $325 for entry and stamped race tires. Move-in for Round Five begins on Thursday, August 31, at 1pm – with ‘early-bird’ registration check-in at the track offered from 3pm to 6pm. 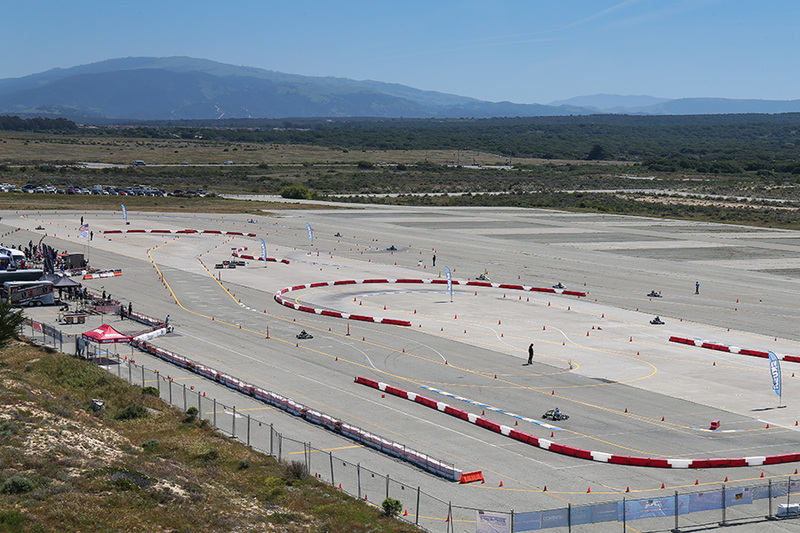 On Friday, the gates and California PKC registration desk opens at 6:30am, with the official practice day beginning on track at 9:00am and practice sessions running until 5:00pm. Pit spot reservations are available, low cost if purchased thru the SKUSA store, and are highly recommended – along with overnight camping (payable on site only). Complete race and venue information, along with a tentative weekend schedule, host hotels and on-site camping information, can be found at the California PKC Event Page. Monterey Bay Karters will be hosting a practice event on August 26-27 to allow competitors to gear-up for the California PKC weekend. Visit their website (montereybaykarters.com) for more information. For more information on anything related to Superkarts! USA, please visit the website – www.superkartsusa.com and be sure to follow the Superkarts! USA Facebook page, Twitter and Instagram accounts – or call the SKUSA head office at 951-491-0808.